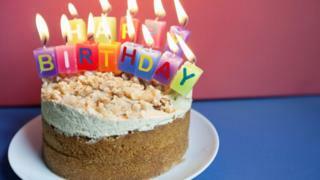 Birthday cakes have been banned by a primary school because teachers "do not have time" to check ingredients for pupils with allergies. The ruling was posted in a newsletter on the website of Norbreck Primary Academy in Blackpool. Parents were told cakes taken into school would be "sent home uneaten". Head teacher Karen McCarter wrote: "I hate to be a killjoy… there are many reasons for this, some of them serious." She added: "We are not able to account for the ingredients in the cake, we could therefore unknowingly give a product to a child to which they are allergic. "Even if we had a list of ingredients, in a busy school day, it is too much to expect teachers to read ingredient lists and then decide who can and who cannot eat the product." Mrs McCarter also told parents: "In our modern society in which we are held accountable, we cannot take the risk." In a statement the head teacher said cakes were rarely brought into school in the past but it was now happening so regularly the school day was disrupted. She added: "I am sure that parents appreciate that a teacher's time is best spent educating their children rather than cutting up cake, handing it out and cleaning up afterwards. "Also as many cakes are home-made the ingredients are unknown which could potentially lead to problems for children with allergies. " Mrs McCarter said all children were "made to feel special when it is their birthday and the class teachers ensure that all birthdays are remembered and celebrated". A Department for Education spokeswoman said each school had to be aware of a child's allergies and decide on appropriate policies.